Categorising employees based on when they were born can be a controversial way to manage a workforce. However, the patterns of behaviour that are a result of the very different world Millennials were raised in compared to their older generational counterparts cannot simply be ignored. A recent Perkbox study found that almost half of all millennials are likely to leave their jobs within a year – far more than Generation X and the baby boomers. This unsettling statistic is compounded by another: 76% of Millennials identified as feeling valued or highly valued for their work – again, more so than the older cohorts. Clearly feeling valued at work has little bearing on the length of time our fastest-growing working cohort intends to stay at their organisations. In order to find strategies to drive loyalty within this pivotal cohort, we must understand who they are and the reasons behind these seemingly disjointed statistics. Millennials, otherwise known as Generation Y, are the portion of the workforce born between 1980 and 2000. Ernst & Young research suggests they’re the most tech-savvy generation, being natives to social media platforms and mobile technology. Their career aspirations and confidence with emerging technologies are already shaping the culture of the 21st century workplace. In short, millennials matter. Despite their acknowledged strengths, millennials are criticised for not being ‘team players’ or as ‘hardworking’ as the older cohorts – however, context is key. Millennials bore the brunt of the global economic crisis whereby 72% felt they had made a compromise in finding a job, and that loyalty doesn’t guarantee long term security. Furthermore, they’ve entered a changed business landscape where a job for life is a distant memory and traditional hierarchical corporate structures are nearing extinction. These external influences, coupled with growing opportunities for varied career paths, undoubtedly influence the millennials’ tendency to put self before organisation. It’s no coincidence therefore that companies with progressive cultures and managerial styles, such as Google and Apple, have been successful in attracting members of this cohort. Managers are becoming increasingly concerned with not only retaining millennials but also attracting the best talent to their organisations. The prediction that by 2020 millennials will dominate 50% of the overall workforce puts pressure on organisations to consider how appealing their current cultures and structures are to this aspirational group. This draws reasonably conclusive evidence as to why millennials are tempted to change roles so readily, and allows us to piece together a picture of the positions they might gravitate towards. More so than the older working cohorts, millennials are attracted to organisations that offer career progression. It’s therefore unsurprising that our study found that a third of the cohort are frustrated by the lack of career development opportunities within their current organisations. Another millennial character trait highlighted by Deloitte in 2016 is their raised awareness of business ethics, with 87% holding the belief that the success of a business should be measured by more than its financial performance. They’re therefore not impressed by the scale of a business or its age, as much as the positive impact it has on its people, society and the environment. Millennials are guided by their personal values and whether the organisation is aligned with these. Our report found millennials to feel most aligned with their organisations’ objectives as well as wanting to become more aligned, in comparison to the older generations. Managers concerned by the effect rapid changes to the workplace will have on its workers should bear in mind that millennials are likely to be the cohort most willing to adapt. But adaptability doesn’t mean loyalty – the following strategies will help you bridge the gap between the two. Given that millennials thrive on the freedom to be creative and innovative, nurturing a culture based on trust and flexibility is likely to give this cohort a motivation to stay. This feeds into their attraction to companies that value employees and encourage a healthy work-life balance, both elements that fall under the umbrella of workplace flexibility. Our study found that all generations are perturbed by the lack of communication, transparency and recognition within modern organisations. Some 32% of millennials said they were frustrated by poor leadership, with 33% of Generation X and 32% of boomers feeling the same way. Clearly, managers need to adopt styles and strategies that are inclusive, rewards orientated and communicative. Almost three quarters (73%) of millennials were found to be motivated by personalised benefits in addition to their salary. Organisations can address this by promoting employee wellbeing incentives such as the opportunity to buy more holiday or salary sacrifices. Free meals, cost saving perks, gym memberships were all also found to be favoured by the cohort. 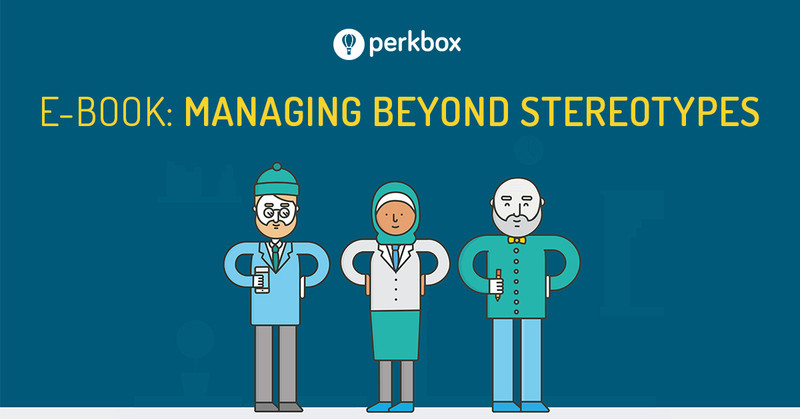 Find out more about preparing your workplace for the millennials in our recently published report, Managing beyond stereotypes.